The Muslim Council of Wales joins with civic and faith leaders across the country in standing in solidarity against the horrific murders that took place in Westminster on Wednesday 22nd March 2017. We applaud the selflessness and bravery of the police officer who died protecting others, and our thoughts and prayers are with all those injured and killed in the attack, and their families and loved ones. There is a long history of terrorists of all persuasions targeting government and Westminster, seeking a perverse justice of their own making. The Holy Quran is clear – “No one will bear the burden of another” (35:18). There is no justification for murder. Two weeks ago, the Muslim Council of Wales held a conference with civic partners across Wales in order to identify ways in which to tackle all forms of violent extremism. Today, we are reminded of the importance of fighting for a more cohesive, compassionate and caring society. On Saturday 18 March, the Muslim Council of Wales joined with Stand Up to Racism and many other organisations and citizens of Wales and marched through Cardiff as part of the United Nations’ International Day against Racism. We reject those who seek to divide us through hate. We stand united with our fellow British citizens in the face of these events. 1. 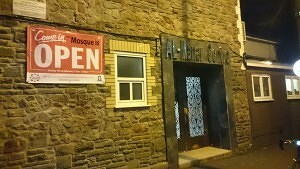 The Muslim Council of Wales is an umbrella body representing mosques and Muslim organisations across Wales. We at The Muslim Council of Wales are are deeply troubled by the reports that a Welsh Muslim teacher, Mr. Juhel Miah of Llangatwg Comprehensive in Aberdulais, was denied entry into the US. It is outright Islamophobic discrimination that a British citizen school teacher travelling with his school party should be denied entry into the US. This is the latest in a series of incidents in which Muslims have been denied access to the US, incidents which do in fact predate Trump and his Muslim ban. According to reports, Mr Miah is a British citizen who holds no dual nationality. He is not from one of the seven banned countries, but he is Muslim. We are extremely concerned about the normalisation of discrimination against Muslims which fan the flames of hatred and add fuel to far right organisations that aim to divide communities and create a “them and us” society. Incidents like this undermine equality and civil life; society as a whole must unite together in order to resist. Muslim Council Wales are offering support services to anyone affected by similar travel problems. 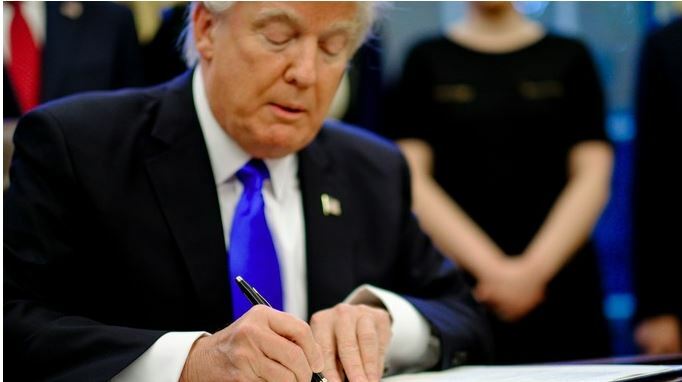 US President Donald Trump signs travel ban. “The Muslim Council of Wales is extremely concerned by the Trump administration’s Muslim ban. We must call the ban by what it is. It has banned citizens from seven Muslim majority countries, with an exemption for religious minorities. He has come through on his election pledge of a Muslim ban. We have heard of many people living in America with green cards concerned about leaving. This is a dangerous step. We must all be vigilant of the slowly creeping fascism. 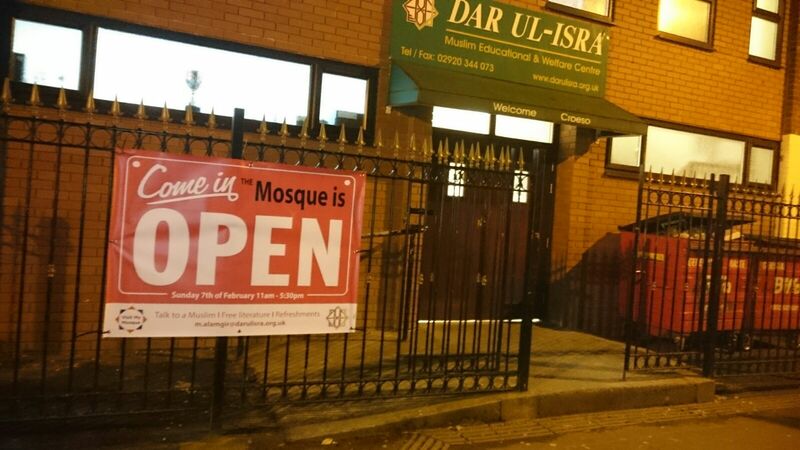 Sunday 7th February is national mosque open day. 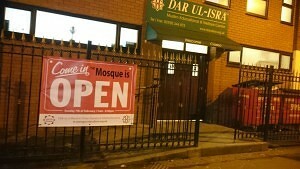 Mosques across the UK are opening their doors in an attempt to build bridges between neighbours. Below are a list of participating mosques, please do drop by! “My name is Sahar al-Faifi. I’m the Assistant Secretary General of the Muslim Council of Wales. 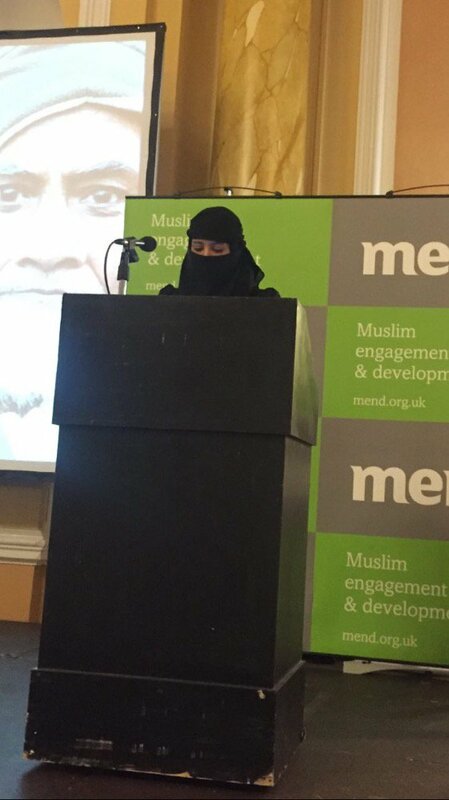 I’m also the Chair of MEND Wales, and I recently organised a dinner in Cardiff called “Wales Challenges Islamophobia”. The event was intended to raise the profile of the increasing Islamophobia in Britain – something I unfortunately have been victim to first-hand. As a Muslim woman who wears the face veil, barely a week goes past in which I am not subject to some form of abuse on the street or on the way to work. 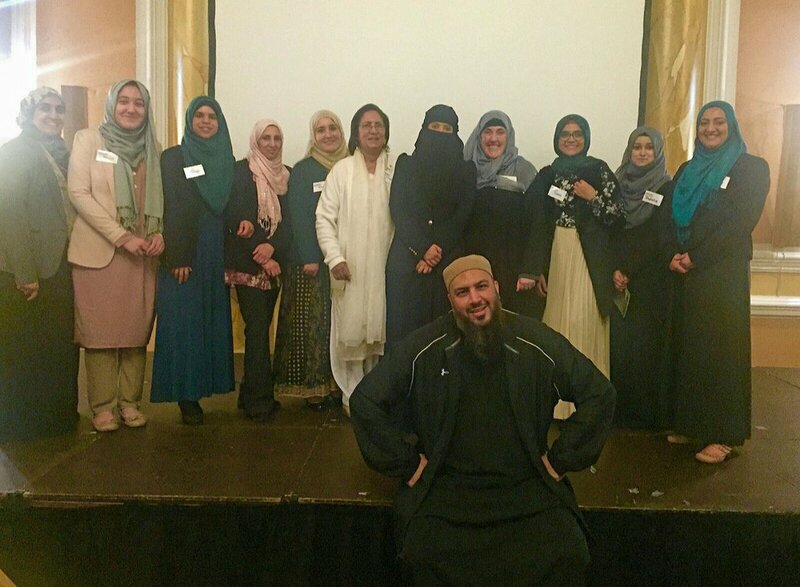 Muslim women are often the first victim of on the street abuse, as various studies have demonstrated, and it is unsurprising that the majority of the team that put together and hosted the event were other Muslim women. We worked from the beginning of the event to delivery, and I myself chaired the event. The team who organised the event with speaker Abu Eesa. We were honoured to host Health Minister Mark Drakeford AM. His gesture of standing shoulder to shoulder with Muslims in combatting prejudice and bigotry was warmly welcomed by me, the Muslim Council of Wales and the other attendees of the event. Following the event, an article was posted on Wales Online by a former Conservative Parliamentary candidate, Shazia Awan. I felt it important to clarify some of the statements made within the article, both in terms of the event I organised, and also the claims she made more generally. I do this in good will, and following an attempt to speak to her directly about the concerns she raised. This is absolutely untrue. I chaired the event, and the top tables were full of women – I know because I made sure they were well represented and given the best seats in the house. This lie is upsetting as it erased me, my contribution to the event, and the other women who attended. I hope Shazia apologises for this complete untruth. As anyone who attends the Muslim Council of Wales interfaith dinners will know – our tables always are diverse, with men and women present. We recently hosted the Archbishop of Canterbury Justin Welby in a historic gathering in October 2015, and invited Chief Rabbi Ephraim Mirvis in February 2015. It is a shame Shazia feel’s the Muslim Council of Wales is unrepresentative. We are a broad based umbrella body. Our affiliates include the majority of mosques, Muslim organisations and societies in Wales, from both Sunni and Shi’i backgrounds, and from all the different schools within Islam. As we work with organisations, rather than individuals, it is not possible to represent everyone. But we do represent the interests and views of the majority of Muslim organisations, mosques and groups in Wales to the best of our ability. If Shazia has any suggestions on how we can improve our structures of representation, I welcome conversation on the topic. Although not stated explicitly, the article also seems to criticise Abu Eesa for being “Salafi”, described as “a fundamentalist and ultra conservative approach to Islam”. Salafi mosques, Imams and scholars have been vital partners in working with the Muslim Council of Wales (and indeed other bodies) in countering violent extremism, and advocating positive messages about engaging with wider society. I think it is unfair to imply that simply being Salafi is a problem. Furthermore, the presence of Abu Easa at the event was made clear from the outset, his name was put in all publicity materials and it was no secret that he was to be one of the speakers at the event, I am surprised that Shazia did not know before the event, and felt the need to walk out during his talk – which was short, and completely unrelated to the issue of women working. Implicit in the article was the criticism that the Muslim Council of Wales do not take extremism seriously. We consider tackling violent extremism as one of our most important duties and we expend considerable energy towards this goal. We have been active members of civil society groups such as the Cardiff Prevent Stakeholder Group, and worked with partners across all institutions to combat extremism. We have facilitated Imams and religious scholars to tackle the theological messages of groups like Isis, through Friday sermons, leaflets, posters and online videos. We’ve also hosted courses to help develop young leaders who can counter extremist messages. We have invested in training for Imams and Muslim scholars in Chaplaincy training, so they have the pastoral skills to reach and communicate with young Muslims as we believe youth support work is one of the vital tools to countering radicalisation. We have developed projects also aimed at reducing the appeal of extremism, such as our prison chaplaincy project New Leaf, and our youth leadership programme, iLEAD. In February 2016, we are hosting a conference aimed at exploring radicalisation with our national partner, the Muslim Council of Britain. There is still much more that can be done of course, and we invite everyone to help us in carrying out this important work. “The most recent attacks in Paris are an affront to humanity. We mourn the deaths and offer our thoughts and prayers to the families who have lost their loved ones. The deaths in Paris follow terror attacks in Beirut and Baghdad. This attack is being claimed by the group calling themselves ‘Islamic State’ but there is nothing Islamic about such people and their actions are evil. Muslims globally, and here in Wales, reject the so called Islamic States’ political aspirations in Syria and Iraq, and we reject their attempt to justify their violence through religion.